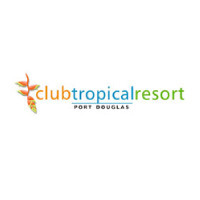 Club Tropical resort offers a variety of 51 studio, 1, 2 and 4 bedroom suites. All rooms are self-contained with open air kitchenettes located on private balconies. Most balconies overlook the landscaped water gardens or Macrossan Street. The resort features a large rock sculptured pool, two hot spas and sauna set in lush tropical gardens. The resort is in a great location right on the corner of Macrossan Street & Wharf Street, perfectly positioned for Port Douglas weddings and groups as St. MaryÂ’s by the Sea chapel is only 100 meters away in the Park opposite. The Port Douglas Sunday markets also take place here.